The cost of routine eye exams in The Woodlands or Spring, TX or the cost of prescription eyewear can be of real concern, especially for large families. In many cases, vision insurance can lower these annual expenses. Prior to an examination, our optometrist in Spring, TX always recommend that you review your benefits with a representative from your insurance company. 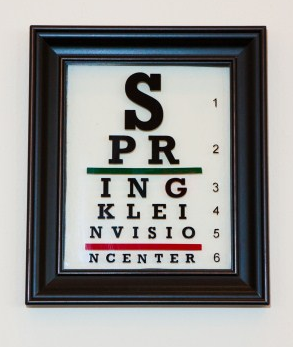 The eye doctors at Spring Klein Vision Center are ready to help you in any way they can. Our optometrists honor many other Vision Discount Programs and several smaller medical PPO insurance panels not listed above, so if you do not see your plan listed here, please give us a call and we would be happy to assist you. Our staff is also always available to answer any questions regarding your benefits.